Fri., April 15, 2016, 9:01 a.m. 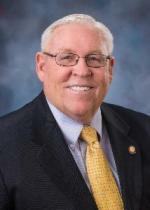 It's bad enough he went back on his pledge to give state Rep. John Gannon, D-Boise, a hearing on a bill to reform Idaho's faith-healing loophole. Under the law in Idaho - and five other states - parents who deny their children medical care on religious grounds cannot be prosecuted. He keeps changing his story. When The Guardian's Jason Wilson asked him about it, Heider said Gannon never lodged a bill. Not so. Next he said the Idaho attorney general and Canyon County prosecutor told him the laws needed no changing. Wilson reported both offices denied that. Then Heider took refuge in the U.S. Constitution: "I don't think that states have a right to interfere in religion." When Wilson pressed about children who are dying, Heider said this: "Are we going to stop Methodists from reading the New Testament? Are we going to stop Catholics (from) receiving the sacraments? ..." Huh? Marty's complete Cheers & Jeers column here. Posted April 15, 2016, 9:01 a.m.